In the Admirals club at Heathrow, waiting for a flight which has been delayed twice this morning already. I have serious doubts about making our connection to Orlando this evening. We may end up in an airport hotel in Miami and have to go to Orlando in the morning. Drat. I am always amazed at what they put out for the customers in this Admirals club. There is a full open bar Johnnie Walker Scotch, Gordon’s gin, Smirnov vodka, and an unlimited supply of Bailey’s Irish cream. 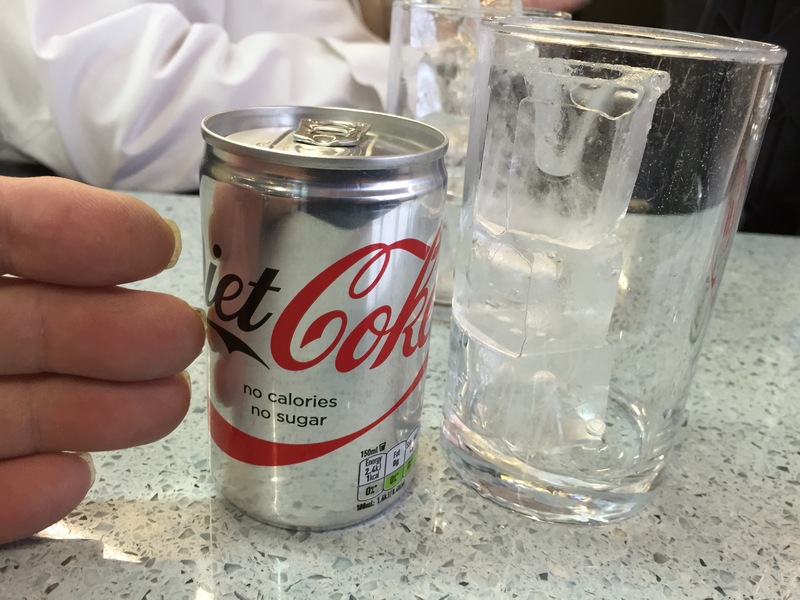 Nonetheless, they serve the tiniest cans of Coca-Cola I have ever imagined. 150 mL, 5 ounces. The original one small bottles Coke came in were 6 1/2 ounces. These are almost a fourth less. I suppose it doesn’t really matter; I can have as many of these little cans as I’d like. They just amaze and amuse me. We’ll get out of here eventually. Big party tomorrow night in Orlando, then home on Sunday.